Love this evening dress, so effortlessly elegant and simple. Black belt combines the silk pastel orange skirt and lace bustier so well. 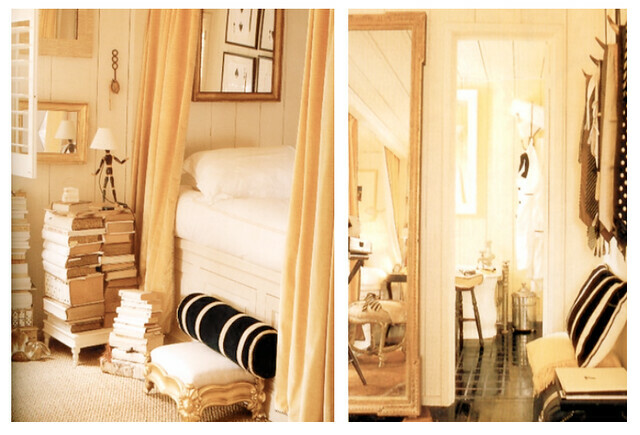 I matched the dress with this cozy bedroom full of sunshine and gold details. Photo 1 via samaroon, Photo 2 via Habitually Chic. Really pretty lace bustier- so great with that maxi skirt! where would i find this stuff?